Many lawyers today know how important search engine rankings are for their practice, as do their clients. When searching for a lawyer or law firm, people use search engine rankings as an indication of reputation and competence in an area of law. We have recently featured several top law firms that are leading the way when it comes to effective search engine optimization strategies. We continue our series of highlighting these firms with this post on which Am Law 200 firms rank highly in search engine results pages for the keyword Mergers and Acquisitions. With 1,300 lawyers globally, Baker McKenzie has the world’s largest M&A practice, so it’s no surprise the firm ranks highly on search engines for this practice area. The firm’s website overall has a URL rating of 19 out of 100 and a domain rating of 77. More impressively, the firm has 1.06 million backlinks leading to the firm’s site. Baker McKenzie’s M&A practice area page ranks in the top 20 of all the firm’s website pages. The page ranks highly for searches such as “largest M&A deals” and “cross border deals,” which gives some insight into the firm’s reputation in the field. More specifically, Baker McKenzie has been recognized for its work in mergers and acquisitions across the world, recently being named “Best M&A Law Firm of the Decade (2009 to 2018) at the 10th Vietnam M&A Forum. The firm also has an engaging and easily accessible microsite dedicated to cross-border M&A that provides resources and insights such as guides, handbooks, and trend reports. Proskauer’s website is well-optimized for search engines with a 17 URL rating and 72 domain rating, supplemented by 953,000 backlinks and 561,000 organic keywords. The firm’s M&A practice area page ranks highly in searches for “international acquisition groups” and “global mergers and acquisitions,” showing its reputation as an international M&A leader. For example, the firm recently represented Discovery in a £300 million acquisition of BBC programming. 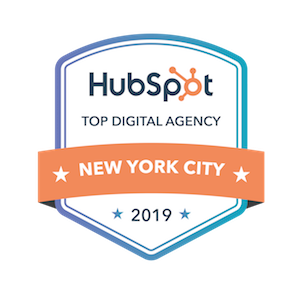 Large deals such as this one have undoubtedly helped the firm achieve high results in search engine rankings, as well as receive several notable awards. The firm’s M&A practice was recognized nationally by U.S. News “Best Law Firms” in 2019 and ranked in the 2018 editions of Chambers USA, Europe and Global. Proskauer’s search engine visibility is also a product of its social media presence: using #MergersandAcquisitions in posts on Twitter and LinkedIn helps expand content reach for this practice area. Hogan Lovells has an effective SEO strategy overall, evidenced by its incredibly strong backlink profile. The firm’s website holds a 37 URL rating and 77 domain rating with 3.36 million backlinks. These metrics help to supplement an already strong M&A practice page, which ranks in the firm’s top 100 pages. The M&A page ranks for searches including “recent mergers and acquisitions” and “latest mergers and acquisitions,” which is evidence of the firm’s present lead in the field. Hogan Lovells demonstrates its status as a thought-leader in the industry through its microsite blog on cross-border M&A called Deal Dynamics that offers the latest market insights, interactive maps, and up-to-date statistics on cross-border activity. The firms also writes a quarterly M&A decisions update summarizing corporate and commercial court decisions. The firm handles quite a large number of transactions, working on more than 500 mergers and acquisitions transactions across a range of industries in 2018. The firm was ranked #1 by deal value in European M&A for the first quarter of 2019 by Refinitiv, the formal financial data provider of Thomson Reuters. Perhaps most unique to Latham & Watkins practice are its mobile apps, such as The Book of Jargon series, which includes industry and practice-area specific glossaries on related terms and acronyms. In addition to the Book of Jargon on Global Mergers & Acquisitions, the firm has a separate app called Global Merger regimes that answers questions about merger deals in different countries, approval needed, timelines and more. Both tools are free and available on Apple and Android devices. Mergers and acquisitions law is a huge global practice area, which makes it a competitive field for corporate law firms. Having a well-developed SEO strategy can help set your firm apart from its competitors. Does your firm need help getting started with SEO? Contact us today for a free consultation.